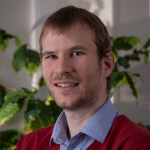 Chris West leads the Sustainable Consumption and Production team at the York Centre of the Stockholm Environment Institute and co-leader of SEI’s ‘Rethinking Development’ theme. His research includes risk and impact assessment of international supply chains, environmental footprinting, and metrics for sustainable development. Since 2011, Chris has been working in partnership with NETpositive Futures to develop the NETpositive suite of tools. He leads on the development of the data and research-outputs from the NETpositive Initiative.